Ease the pain and discomfort caused by hemorrhoids. If you are tired of suppositories and ointments that don't work, we have an easy-to-use solution. After extensive consumer studies, our team of researchers has found a solution to your problems. This solution is Avatrol, simply take one pill in the morning for 14 days and Avatrol may be helpful for the symptoms you are experiencing. 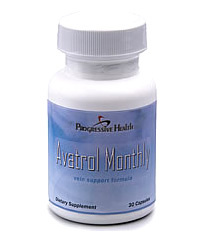 New studies reveal that the ingredients in Avatrol can help with the pain and discomfort caused by hemorrhoids. Studies have shown that 1 out of 3 people below the age of 50 will suffer from hemorrhoids- over 33%. 1 out of 2 people over the age of 50 will suffer from hemorrhoids. The normal case will last anywhere from a few days to many years. Once your body tissue has been damaged, it may not heal. This is why people with hemorrhoids can't seem to get rid of the itching and the blood that appears in their stool. You must supply the hemorrhoids with vital nutrients to aid in the healing process. The ingredients in Avatrol help to strengthen tissue so they can sustain increased blood flow. This will help ease the swelling of your hemorrhoids until they no longer cause pain.